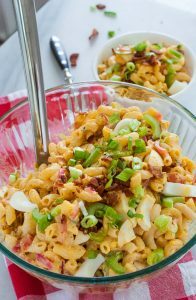 It seems time for a Cold Pasta Salad and this is one which you will surely make several times during the summer months. 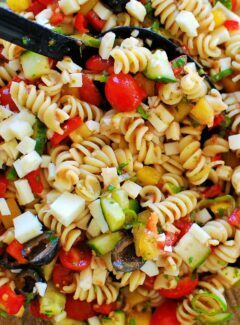 As pasta salads go, this one has the fairly common ingredients of sweet peppers, cucumber, onions and tomato. 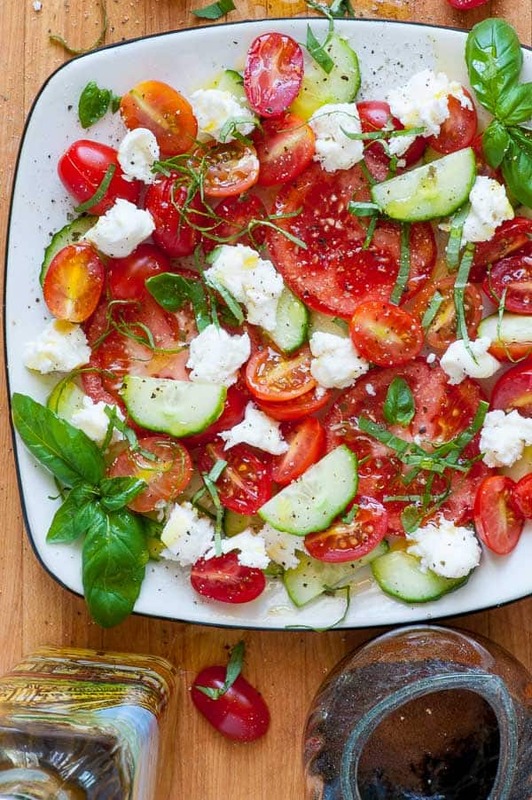 What makes this salad exceptional is the wonderful tomato dressing which is spiced up with red pepper flakes and has the bite of lots of fresh basil. I made a bowl of this last week when my brother Jay and his wife Tracy and their daughters, Molly and Claire came to visit. 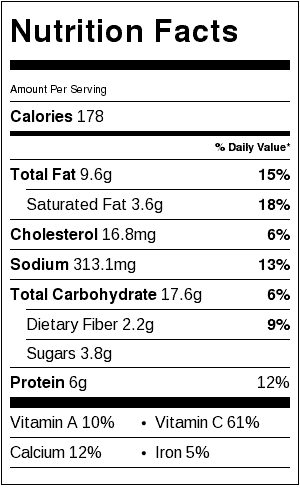 We ate this one batch at two separate meals and still had some leftover. If you’d like, I think a half recipe would work too. This salad is really easy to put together and keeps well as leftovers. 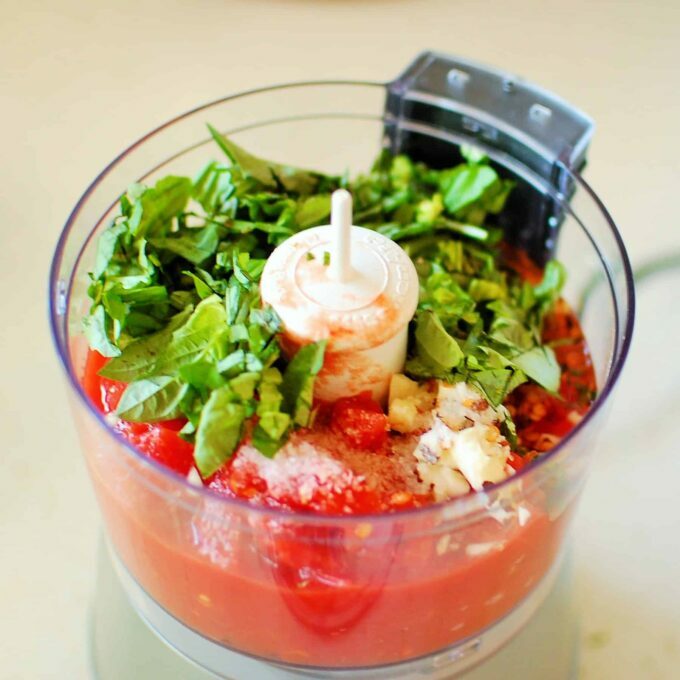 I used my handy little Kitchen Aid food processor to blend the dressing ingredients. This is a sweet, small processor you can see in the link. 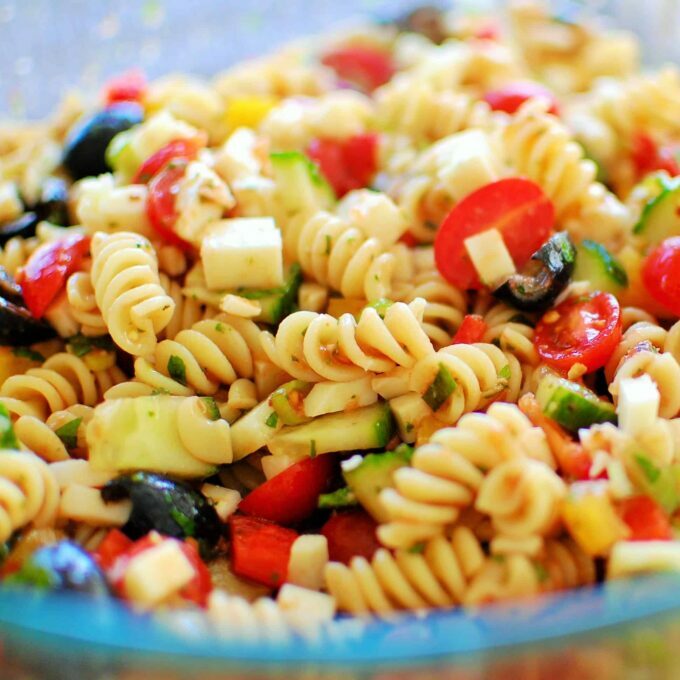 I used Rotini pasta because it has lots of surface area to hold onto the tomatoey pasta salad dressing. Cook it until thoroughly softened, then rinse it under cold water to cool. If you are interested, here is a great article on cooking pasta… Pasta: 8 Common Mistakes in Cooking …interesting tidbits to better pasta. 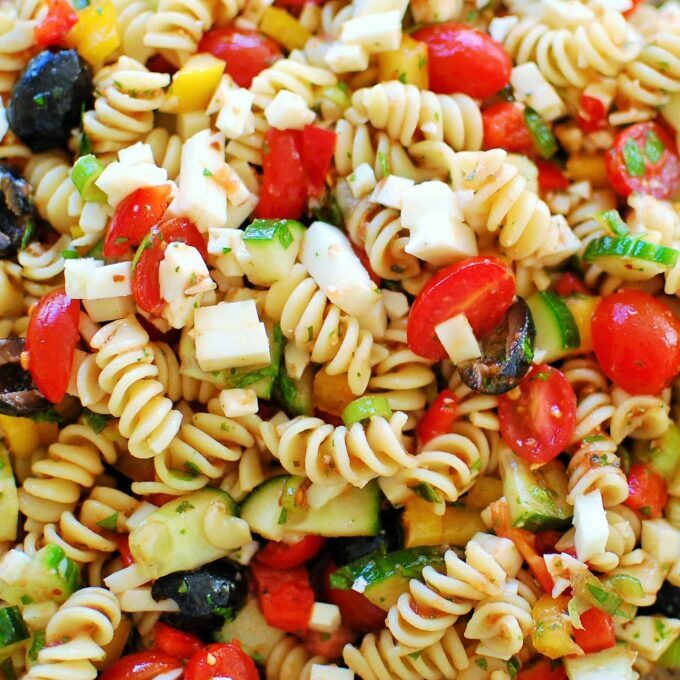 This cold pasta salad recipe makes enough for a crowd and is perfect for a summer potluck. 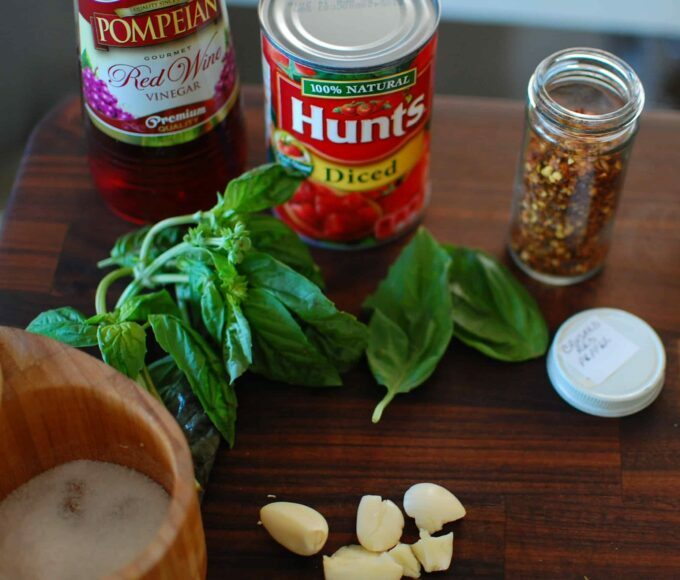 Fresh ingredients make this a great, healthy side dish. 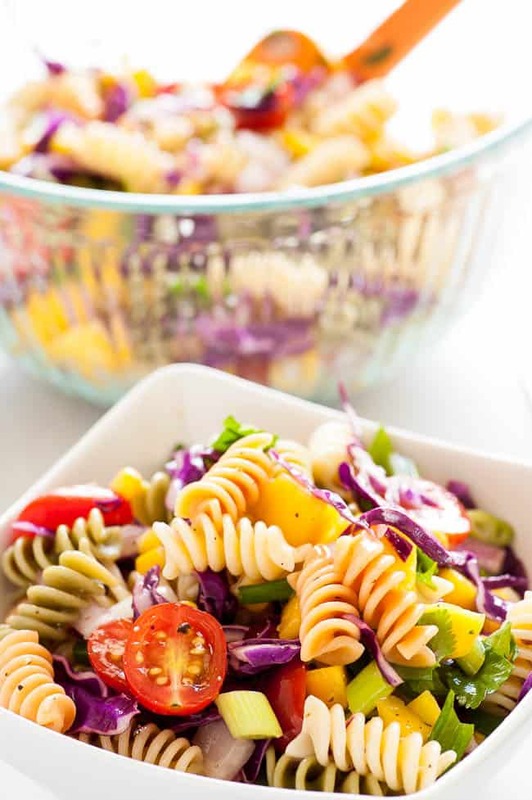 Tasty cold salad which is perfect for picnics or potlucks. Puree the ingredients of the dressing in a food processor or blender. 20 to 30 seconds. Cool in the refrigerator or make and cool overnight in the refrigerator. Cook, then drain and cool the pasta. 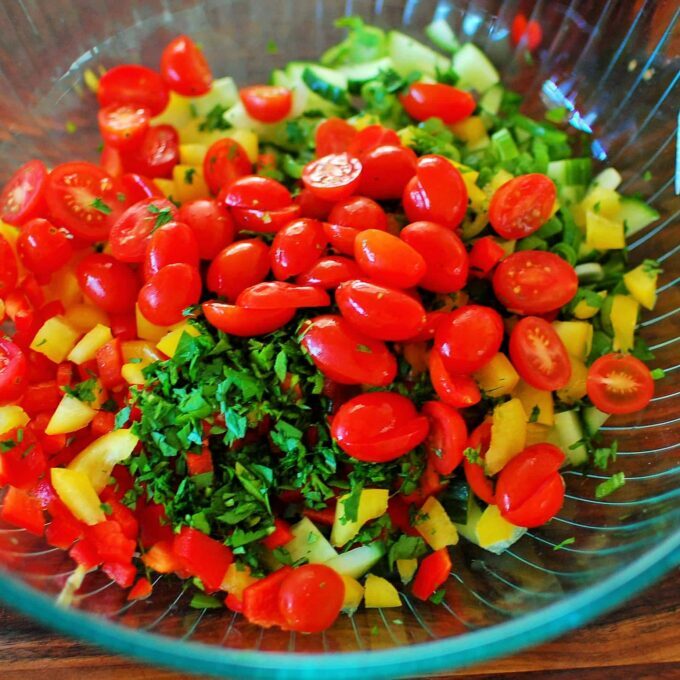 Chop the vegetables and place in a large bowl, then toss to combine with the olive oil. Add the pasta and dressing and toss again. Salad may then be refrigerated overnight. 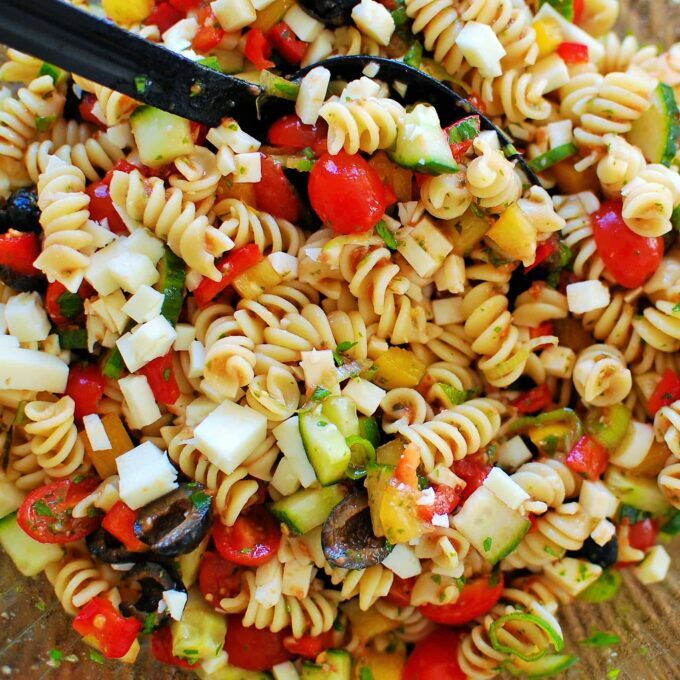 Just before serving, add the crumbled feta and black olives and serve cold or at room temperature. 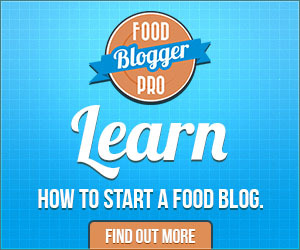 This post includes an affiliate link to a recommended product. If you purchase an item through this link, Joe’s Healthy Meals will earn a small commission at no extra cost to you. Thanks! 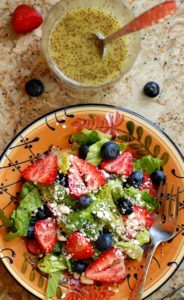 More salad recipes to take a look at. Thanks, I make it all the time. It’s especially good to share at potlucks. This is really delicious. Be sure to cook the pasta until it’s tender.